Our range of products include dhs plate, dhs screw and dcs plate. 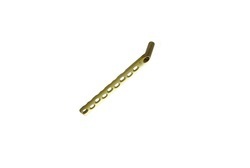 From our wide range of products, we offer excellent quality Dynamic Hip Screw Plates that are available in various sizes and other related dimensions. Fabricated under the strict supervision of our qualified professionals, these plates are designed in conformity with the industry approved quality norms. The offered plates can also be customized as per clients' provided details. In addition, we are offering this range at market leading prices to our clients. 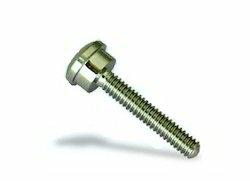 Having year of experience in this domain, we are involved in offering best quality of DHS Screw. 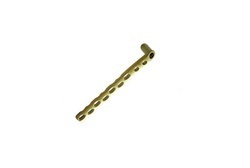 The offered DHS Screw is extensively used for internal fixation of fractures of the femoral neck and intertrochanteric region. Further, the offered products are available in the market in bulk at reasonable rates. Owing t rich industrial experience, we are involved in offering best quality of DCS Plate. This DCS Plate is known for its quality. The offered DCS Plate is extensively used together with the DHS and DCS plates and to fix the fractures of distal and proximal Femur. Further, the offered products are available in the market in bulk at most reasonable rates.